How it's made, by who and why. We all have a favorite place to shop for clothes. Everything there feels so good and is made so well. Well, Regenerous Designs uses the same fabrics they use. During the production process of making those clothes, a ton of great fabric goes unused and thrown out. That's where we come in. 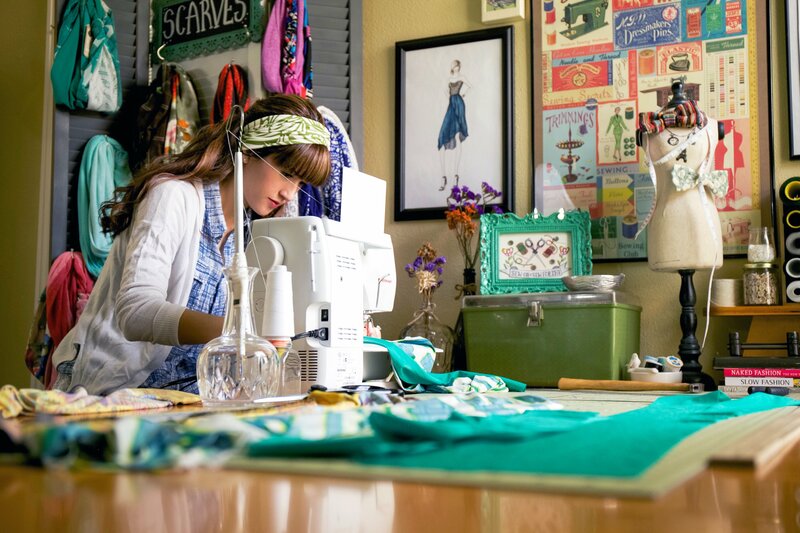 Regenerous Designs takes these amazing designer fabrics, before they're thrown away, and makes incredibly unique versatile accessories entirely by hand just for you. Every accessory is thoughtfully made entirely by hand in the USA. Our fabrics are high quality cutoff remnants from Los Angeles, CA that would otherwise be thrown away after clothing production. Only minimal amounts of designer fabric can be reclaimed, making each accessory extremely limited editions. To the gym or out on the town, Regenerous accessories can be worn in different ways for every occasion. All Regenerous fashion accessories are carefully and professionally made by hand in order to assure each accessory will have a long long life. No cheap shortcuts!! 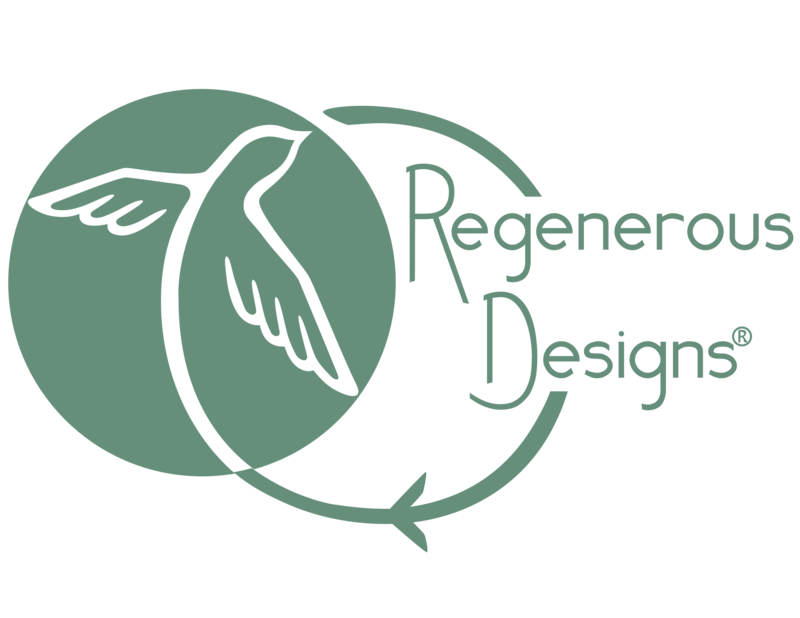 At Regenerous Designs, our mission is to minimize the amount of discarded and wasted materials in the fashion industry by transforming them into innovative useful designs. The global fashion and textile industry is the second most polluting and damaging industry in the world after oil. It seems like such a waste of perfectly good fabrics. Founder Alyssa Bird, couldn't bear to see this happen, so she decided to do something about it. Going to the manufacturers directly, we are able to collect the remnants before they're tossed out. In these pictures, you get a small idea of just how much waste there is. Every time we make a trip out to LA, we load up the car with as much fabric as we can fit. Currently we're only making a small dent in this issue, but over time we hope that dent will grow to truly make a difference. Alyssa Bird. Handmaker Of Everything. After graduating from FIDM (The Fashion Institute of Design and Merchandising), with a degree in Fashion Design, I went to work for a few different design companies in Los Angeles, CA. Learning the behind-the-scenes process of clothing production, I kept noticing all the fabric that was being thrown out and wasted. These scraps could and should be used for something other than being sent to a landfill. Being an environmentally conscious and creative designer, I saw an opportunity to make a positive impact, and Regenerous Designs was born. By up-cycling these designer remnants, I'm able to give them a new life as innovative and versatile accessories to be enjoyed for many more years to come. A really fun and creative challenge to this process is never knowing what size, shape, color, or amount of fabric scraps will be recovered. I come up with designs through a trial-and-error process because the recovered fabric determines how and what will be made from it. This really pushes my creative limits. The odd amount of fabrics recovered makes each design a very limited edition. For larger items, such as scarves, sometimes there's only enough to make five or less. Since all the accessories are made entirely by hand, implementing various sewing, braiding, and weaving techniques, every particular piece is very unique. You can wear your Regenerous Designs accessory with confidence knowing that no one else will be wearing the same thing as you. From the very beginning, making a positive social and environmental impact is very important. My dream is to one day build a sense of community by hiring locals in need who want to learn a timeless skill and help create each piece. Every time I envision a design, I keep in mind that I want to be able to teach others to produce their own designs. Each fashion accessory design is a conversation piece. They're designed to bring life to your outfit and joy to your heart knowing that you're wearing something that means more than just looking good.